Interact with the applet below for a few minutes. 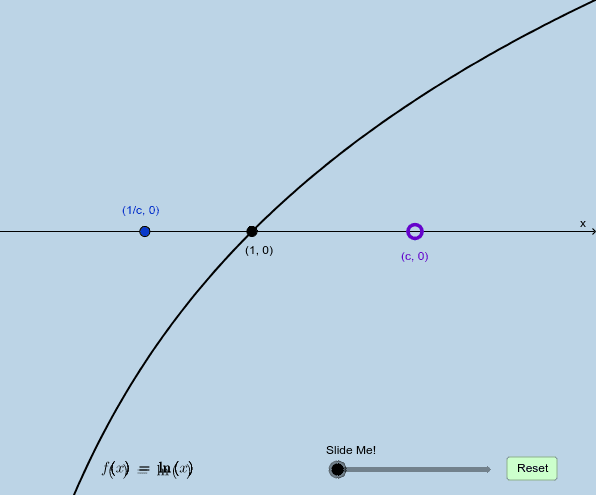 At any time, you can move the purple point with coordinates (c, 0) anywhere on the positive x-axis. For any value c > 0, can you write an identity that expresses the relationship visually shown here? Algebraically show why this identity must be true for all values c > 0.